2017 Galaxy Note7 PK King 708 Poker Analyzer With Newest Technology This is a latest model poker analyzer in 2017, it is made of top technology, it can put 5 games, such as Texas Hold’em, Omaha 4 cards, Omaha 5 cards, Russian seca game, Flush game, Omaha five one and Omaha five two and so on. 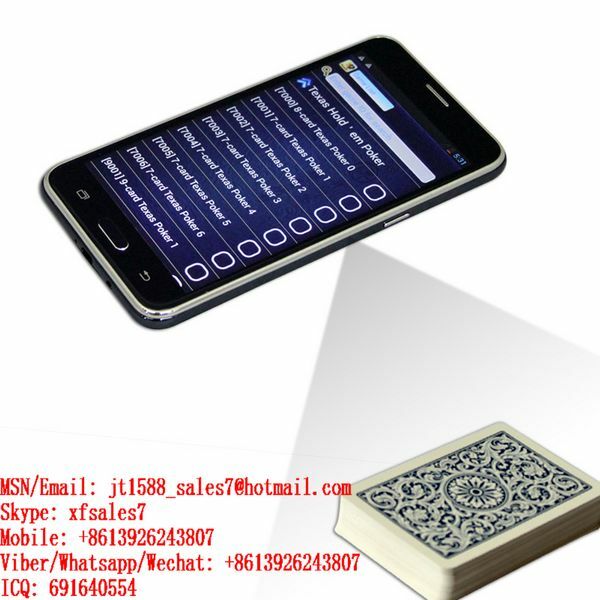 XF 2017 Galaxy Note7 PK King 708 Poker Analyzer With Newest Technology / seca game / Poker Analytic Software / Wireless Transmitter / Marked cards / Card reader / Casino cheat by Guangzhou XF Poker Cheat Co.,Ltd at Pakbiz.com a premier Business to Business marketplace and largest online business directory. Find XF 2017 Galaxy Note7 PK King 708 Poker Analyzer With Newest Technology / seca game / Poker Analytic Software / Wireless Transmitter / Marked cards / Card reader / Casino cheat from China complete basis & contact information, business offers, availability & related Electronics & Electrical products. This page gives you information about the authentic sellers of this product. It allows buyers and sellers communication directly. It can also facilitate the buyers to purchase the product in reasonable prices.